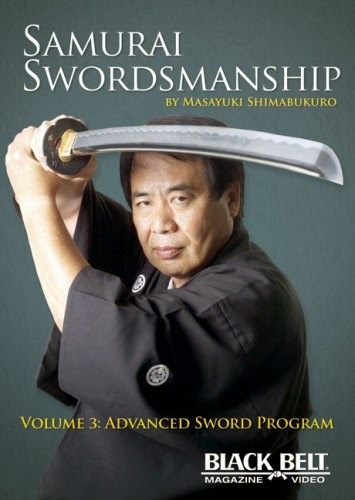 On the 2 yr anniversary of Masayuki Shimabukuro's passing, i'm continuing my posting of his Samurai Swordsmanship series with Volume 3 today. Samurai Swordsmanship from Black Belt Magazine features Black Belt Hall of Fame member Masayuki Shimabukuro (Weapons Instructor of the Year, 2006) and his senior student, Carl E. Long, demonstrating and explaining the history, construction, rituals and techniques associated with the samurai sword. Volume 3 covers advanced concepts and features interviews with both instructors. Topics include mat cutting, forms, uniform care, sword etiquette, cleaning your weapon, thrusts, drawing and sheathing the sword and much more.